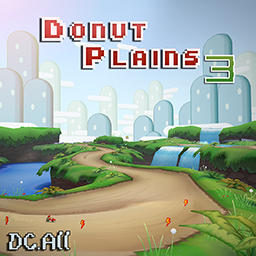 Based off the track from Super Mario Kart on the SNES. I spent a few months 3d modeling this environment, applying some old and new tricks to speed things up. A lot of love went into it. I borrowed a few pixels from the snes game, but all 3D modelling and texture production is my own. I had done a little bit of Vizbox work to try and keep things smooth, but it is a high detailed environment, and your pc may not enjoy it. in the more detailed pack I've included a .W with some of the foliage removed, rename it and try it out if you are having a bad time. Hope the community enjoys this one!